The Full Vermonty offers hope where so many other political works offer only knowledge or distraction. The Full Vermonty: Vermont in the Age of Trump is hard to categorize. 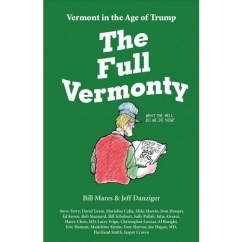 Written and illustrated by essayist Bill Mares and cartoonist Jeff Danziger with the support of nearly two dozen other contributors, the book contains a variety of essays, lists, quizzes, political cartoons, historical anecdotes, political commentary, environmental calls to action and socio-economic cris de Coeur. 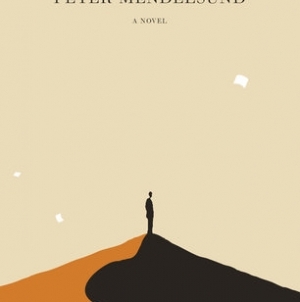 In lesser hands, The Full Vermonty could easily have come across as a jumbled anthology of jaded liberal commentary, but under Mares and Danziger’s careful eyes and pens the book instead serves as a guide for surviving Trump’s political maneuvers and a manifesto for the higher standard that all Americans, but particularly Vermonters, can and should be holding themselves to. As you can probably guess by now, The Full Vermonty is not a book for everyone. 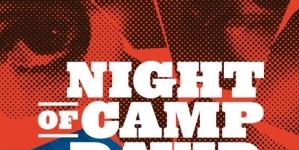 It will be best enjoyed by liberal-to-moderate Vermonters, though there is much to enjoy for liberal-to-moderate to-questioning folks from outside of Vermont’s borders as well. Said folks, however, will find no magic bullet with which to penetrate the thick armor of ardent Trump supporters here, nor will those Trump supporters find anything that serves as olive branch or compromise. This is a book for those who feel discouraged by the 2016 Presidential Election and its direct aftermath. 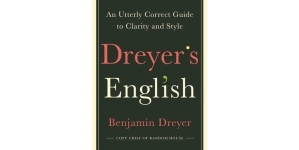 Of all the contributors, Mares and Danziger’s work comes across best in The Full Vermonty (which is appropriate, given that they put the book together). 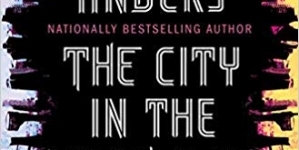 In his writing, Mares conjures a winning combination of gentility and outrage that make for appealing, urgent reading. He’s also genuinely funny, and much of the humor that makes an appearance in the book is in the sections he authors. Danziger, whose drawings appear etched from stone but whose words come from an expansive, intelligent mind, is a masterful political cartoonist. Even the few cartoons that are a little too on the nose still elicit a chuckle, a shudder or an “aha!” All of the other writers included are also effective, which is a rarity in an anthology with this many contributors. There are standouts, of course. Madeleine M. Kunin, the former governor of Vermont, has a short, strong piece that hits hard because of both her high-ranking position and her womanhood. And Julia Alvarez’s piece “Latinos in Vermont before, during and (con esperanza) after the Trump Years” is humorous, humane and enlightening. The book, like Vermont itself, is small but potent, but that brevity has perhaps caused a few lapses in what should have been mandatory content. 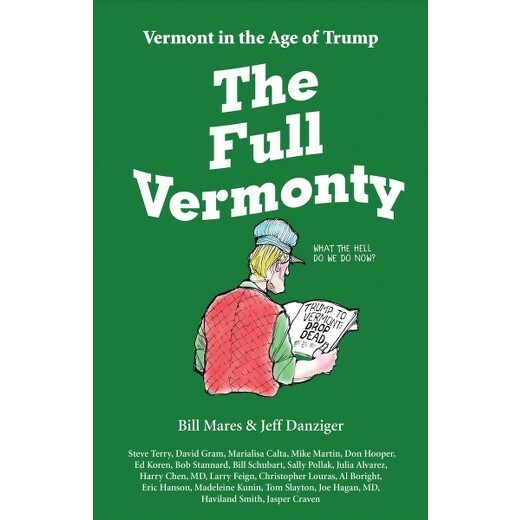 Given the large role that Vermont senator Bernie Sanders played in the election, it would have been appropriate for The Full Vermonty to include more about him. Not only in terms of the 2016 election, but also in terms of what he and the other elected officials in Vermont are doing to stand up to Trump (though this is mentioned, it feels more like a footnote than a focus). Hillary Clinton is also less present than one would think, and though it makes sense to narrow in on the world that is rather than what could have been, it would have been great to see a bit more exploration of what happened, how Vermonters processed it and how the mistakes of this election can be avoided going forward. Though the writing is often humorous and many of the excellent political cartoons will generate laughs, this isn’t a strictly satirical or comedic book, and that works in its favor. For many Vermonters, the election and the resulting policies have had a direct and dangerous impact on their lives. Immigrants, women, environmentalists and those who need medical care have had it particularly rough, and a purely comic approach could serve to leave those people out in the cold. The Full Vermonty does well to embrace a broad spectrum of Vermont’s citizens with its content, offering not only vocal support but also resources, case studies and specific calls to action. Because of this, The Full Vermonty offers hope where so many other political works offer only knowledge or distraction.